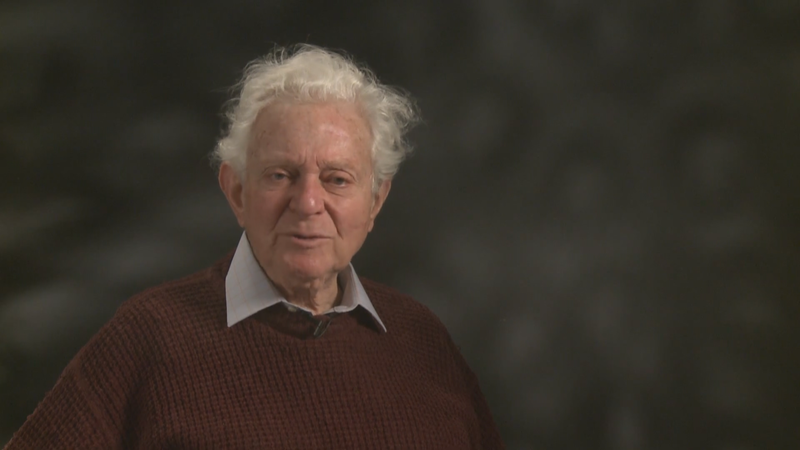 Noble prize-winning physicist Leon Lederman died Wednesday at a nursing home in Rexburg, Idaho. He was 96. Lederman’s career spanned more than 60 years and included several breakthrough discoveries. In 1988, he shared the Noble prize for the discovery of the muon neutrino, one of the building blocks of matter. While his scientific contributions will have a “lasting impact,” his efforts to engage and educate the public are at the core of his legacy, said University of Chicago professor Edward W. (Rocky) Kolb. Lederman was born on July 15, 1922 to Russian-Jewish immigrant parents in New York City. In 1943, he graduated from the City College of New York with a degree in chemistry. He served three years with the United States Army in World War II. After his service, he returned to New York and earned a doctoral degree in particle physics from Columbia University in 1951. While working with colleagues Jack Steinberger and Melvin Schwartz in 1962, Lederman discovered the existence of a new type of neutrino, the muon neutrino, which earned Lederman and his team the Nobel Prize in physics in 1988. In the early 1960s, Lederman proposed the idea for the National Accelerator Laboratory, which eventually became Fermi National Accelerator Laboratory, or Fermilab. He served as director of the lab from 1978-1989. During his tenure as director, Lederman unified staff and pushed for the creation of what would eventually become the Tevatron, which was the world’s highest-energy particle collider from 1983 until 2010. Throughout his career, Lederman received numerous national and international awards, including the 1965 National Medal of Science, the 1972 Elliot Creeson Medal from the Franklin Institute and the 1982 Wolf Prize. In 1992, he received the Enrico Fermi Award for his career contributions to science, technology and medicine related to nuclear energy and the science and technology of energy. He is survived by his wife of 37 years, Ellen; children Rena, Jesse and Rachel; and first wife, Florence Gordon.